Believe it or not: Even in the City that never sleeps, we found places, which were not too crowded. Sometimes we were even alone. Maybe it was up to winter season. Doesn’t matter. Who stays out, despite the cold, should be rewarded. That was true for us! 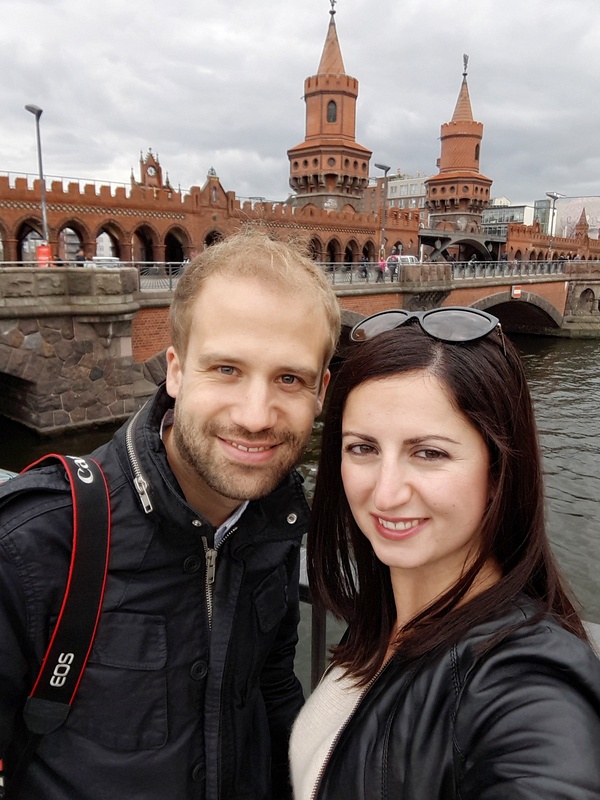 We don’t dislike other people, but sometimes it’s decent to enjoy some silence in such huge city! 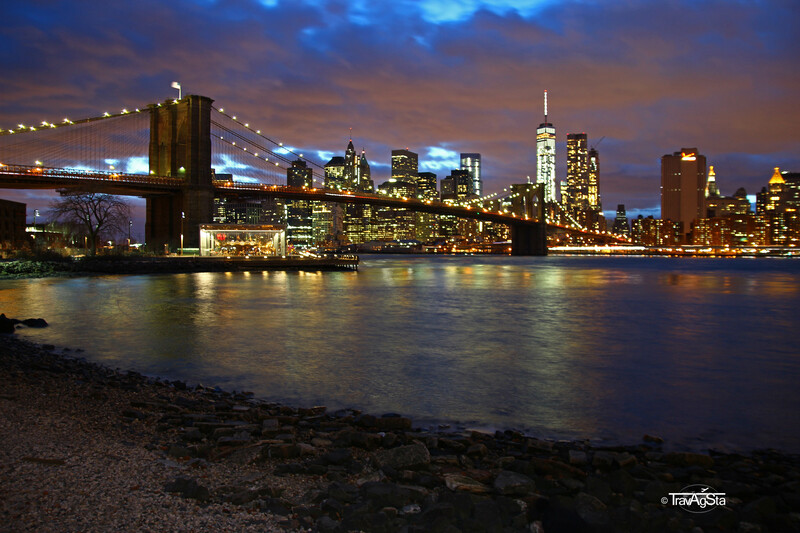 We want to share our experiences and show you the calmest places in New York. We especially think of tourist-free places in the city. Using the Tramway we floated over East River, passing the city’s towers and it felt like slow motion. Only commuters were with us. 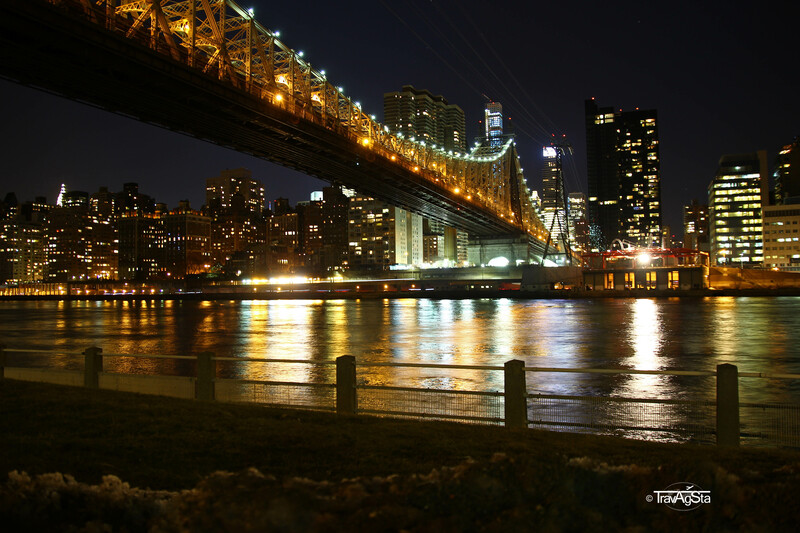 Arriving on Roosevelt Island you can enjoy a great view of Midtown Manhattan by yourself. After the sunset on crowded ‚Top of the Rock‘ this was a complete contrast. I was enthusiastic and we asked ourselves, if the cold keeps other tourists from coming here or if it is just not a classic tourist spot. We didn’t care in the end. For some minutes, we had New York just for us! Still underrated although it’s becoming hip! Harlem is great! 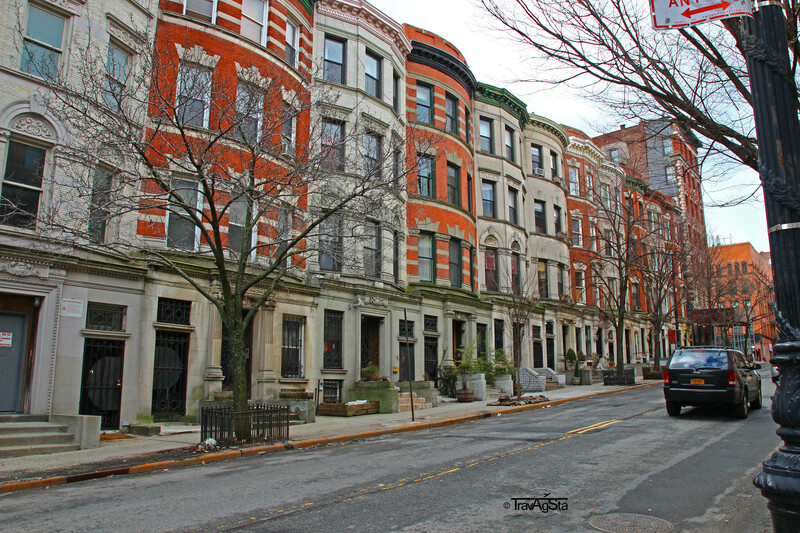 Streets are full of Brownstone Houses. But, more than the streets, I’m still impressed by the small things there. You rarely see other tourists, as there are few classic sights here. You can experience the real New York here. Enjoying a colorful Donut and a coffee at Dunkin‘ Donuts and hearing over two ladies chit-chatting. Does Mrs. X’s daughter take drugs? You can only speculate! An old lady shouting at Jan, if he took a photo of her – she had her Marilyn Monroe moment due to a gust of wind. The very same moment Jan took a photo of the church, when she had her unladylike moment. Jan was confused, she was angry – perfect! 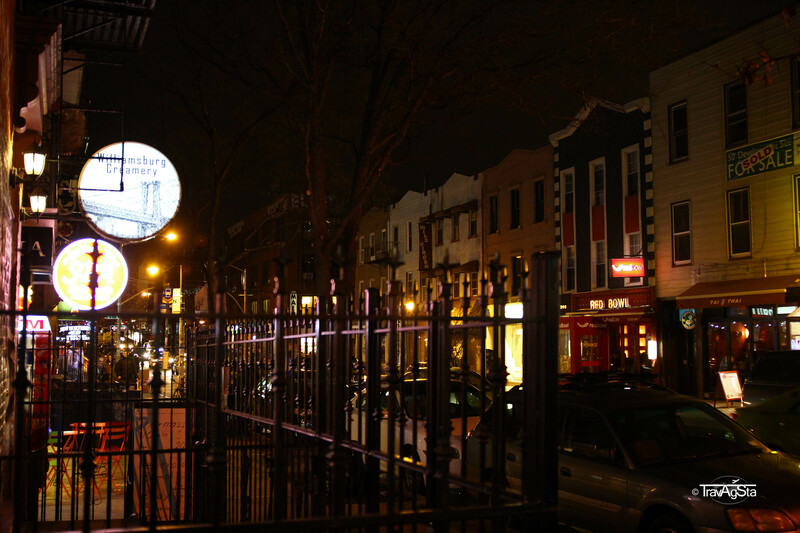 Harlem is definitely worth a visit. By the way: There are dangerous places in the world. Harlem is surely not one of them! This place might be crowded in summer. Winter’s cold allowed us to enjoy the park (and the whole of Brooklyn) almost by ourselves. The wind was really chilly and only some photographers were with us in the park. Only the tough ones cross the finish line. We were rewarded with amazing photos. What you don’t see is the horrible cold, we had to face there: Some blocks away, there was a Starbucks. We could warm-up again. It took an hour! We expected the hipster area to be more crowded. It was great with amazing bars (although we went twice in the same bar). This hip neighbourhood wasn’t too crowded neither by Saturday nor by Sunday night. We particularly enjoyed the variety of people, the different (partly absurd) styles and this optical mixture of Amsterdam and Århus (Denmark). The many organic food stores, bars and restaurants for a young and wealthy target group. You shouldn’t miss out Williamsburg. Surprising, but yes: Central Park was almost empty. Despite sunshine and almost no wind. Weather was fabulous and only some tourists came. Maybe we were just lucky. As this is a list of OUR Top 5, we just add Central Park in winter to this list of quiet places. PS: By winter, we, of course, mean post-christmas-season.